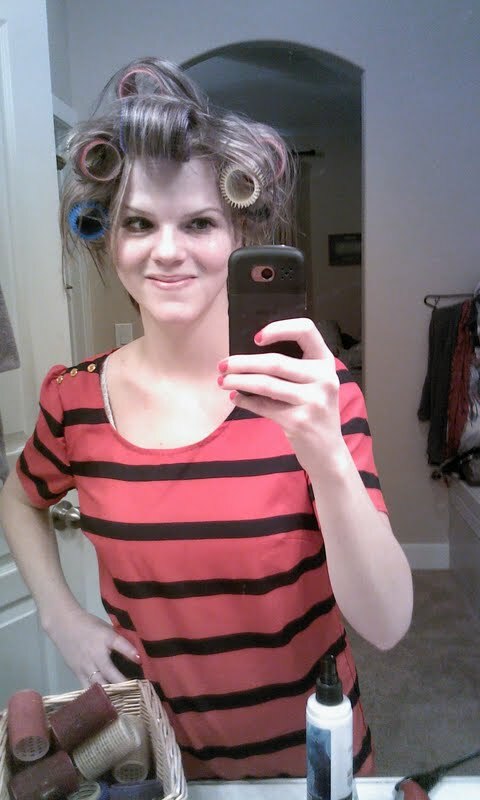 ps love the hair in curlers. and that shirt. hahahahahaha! omg this made me laugh! glad you keep em in line! Ha! You point about power was proven in her first sentence! :) Well, maybe she was joking (a little) but still. Hahaha, I love reading about your students. You're probably still their favorite teacher. And I like the pic - cuteness! You sound like such a FUN teacher! Reading your posts about your students makes me so much more excited to be a teacher. Granted, I will be teaching the little ones and not high school, but it still makes me excited! i love your top in that picture! and that is hilarious what gail did!! My mom was a teacher and she always had the BEST stories. She taught kindergarten, which is much different than teenagers, but teachers get to experience the most awesome things. Your Gail is just one of the many! yes!! old fashioned curlers, love it!! AAAAH! I feel such a kindred bond with you right now! Seriously, even with my first graders stuff like this happens. Your blog is definitely one of my favorites!